Get Ready 2009! 18 Wheels Kicks Off Bigger Than Ever ! Well its that time of year again ! 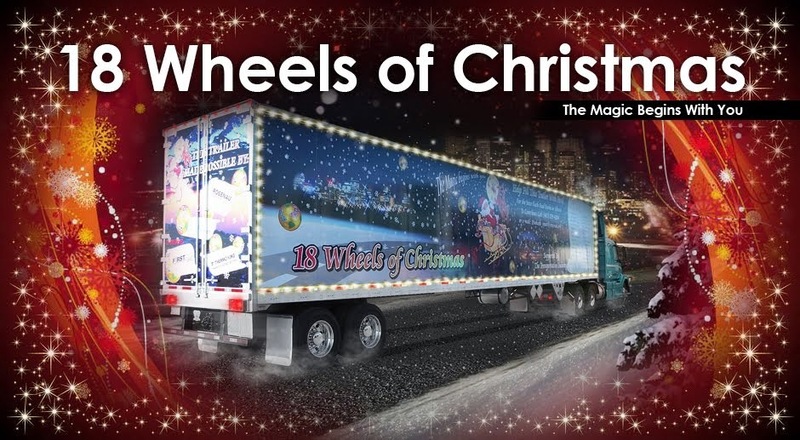 Time to show your support for the 18 Wheels of Christmas program and give a hand up to those less fortunate this holiday season and beyond. Every year is a huge success for this program, and it seems to grow larger each year. This year, we welcome Rosenau Transport Saskatoon to the program. We know they will do well and we are very glad to see this program moving into Saskatchewan! Once again, we are challenging everyone, especially those in the transportation industry to help support our cause and feed the hungry during the holidays. It has been a tough year, especially with the recession. No one was immune to the effects of the bad economy especially your local food banks. Just a few weeks ago, the Edmonton Food Bank reported a 71.5% increase in food hamper use. The Calgary Inter-Faith Food Bank is reporting a 40% increase in demand from last year. And these numbers keep repeating all across the country. You can help make a difference! Please help donate food or money to the 18 Wheels of Christmas program and support your local food banks. All donations of $250.00 or more will get your name on the side of our 18 Wheels of Christmas trailer. Your name will be seen by thousands of people all year long as this trailer move around Western Canada. Contact your closest local Rosenau Service Centre to arrange a donation or pickup. The Magic Begins With You !